One of the more ambitious items tucked into Gov. Kate Brown's agenda for 2019 is a home-visitation program for the families of new infants. If enacted, Oregon would be the first state to provide up to three visits by a nurse or a similar health professional to every family with a new child. North Carolina has run a pilot program providing a similar service. But no state has a program as universal as the one envisioned for Oregon. The proposal is in Brown's budget for 2019-21. The proposed budget by Ways & Means — the Legislature's budget-writing body — has not yet been set. But one of the people running that committee, Sen. Elizabeth Steiner Hayward of Beaverton, said universal home visits are a priority for her. Dr. Alanna Braun, at Oregon Health & Science University, said she hasn't seen the legislation yet. But she has an idea of how universal home visits might work. 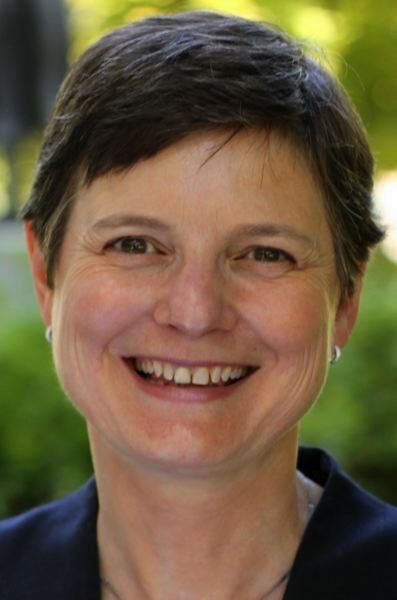 Braun is a pediatrician, a member of the Oregon Pediatrics Society, and formerly worked as a pediatrician in Hillsboro. At two weeks, the baby's weight again could be checked. Babies could get the "heel stick," the pinprick drawing of blood that checks for metabolic indicators of problems which, at that point, show no outward symptoms. At two months, nurses and families could discuss the many vaccines that baby's face. That's the "how." Braun said there's a "why," too: To check on the baby, but also to check on the parents. "Having a new baby at home is stressful for everyone, regardless of income," she said. "It's a time of life when most anybody needs some help." Nurses could check for signs of postpartum depression, help with questions about breastfeeding, check to make sure there's a safe place for the baby to sleep and to be bathed and more. The idea of being universal throughout Oregon would be good, Braun said, because not everyone has the same easy access to a pediatrician or a hospital. "Not everybody lives close to other family members, so nurses can help bridge that gap, too," she said. "It's hard to get out and about when you have a newborn." Brown included universal home visits in a September 2018 document called "The Children's Agenda: Pathways Out of Poverty for Children to Achieve Their Full Potential." It was part of the election campaign she won handily in November. The proposal calls for ensuring that all Oregonians have access to health insurance coverage and to increase overall health outcomes for children. One way to do that: "Support home visitation programs that provide support to new parents and put them and their child on an early path to success." Morgan Cowling, executive director of the Coalition of Local Health Officials, said Washington County has not been part of a pilot for the program. "As far as I know, Lincoln County in Oregon is the only public health department that has implemented Family Connects, the universal home-visiting program Oregon is exploring, thus far," Cowling said. Family Connects is the name of the program run by Duke University and piloted in North Carolina; familyconnects.org. Patrick Allen, director of the Oregon Health Authority, said universal home visits a priority for his agency, because it's a priority for the governor. "This would be good for all kids," said Allen, a Sherwood resident. "It's not something that 'people with problems' need; it's for everyone. It's a big deal." Implementation of the statewide program would be phased in over the next six years. 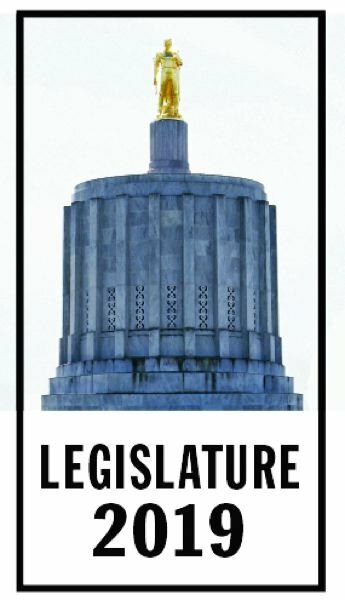 The initial request of $4 million from this year's Legislature would be used to support statewide infrastructure to support the entire program, and to provide resources to serve an estimated 10,000 Medicaid families — with matching federal funding — according to Jonathan Modie, communications officer, Oregon Health Authority. The agency would ask for more funding in the next legislative sessions to stretch out over the six-year phase-in period. Oregon budgets are set on two-year cycles. The eventual goal would be to serve all Medicaid families in all communities, Modie said. The request is likely to find a receptive ear in Sen. Steiner Hayward. She's a physician and also one of three people co-chairing the budget-writing Ways & Means Committee this year. Home visits by a nurse likely would result in fewer families going to emergency rooms with their babies for services they can receive at home. The latter costs significantly less than the former. Steiner Hayward said she's familiar with the North Carolina pilot. "It's a 2-to-1 ROI (return on investment) in the first year," she said, due to fewer emergency room visits. The model, Family Connects, requires a universal approach for "fidelity to the model," Steiner Hayward said. Lawmakers and staff will be having conversations with commercial insurance carriers about chipping in to ensure sufficient funds to cover all women with new babies. The plan, she said, is to roll out the program over at least four years, "to be sure we get it right."